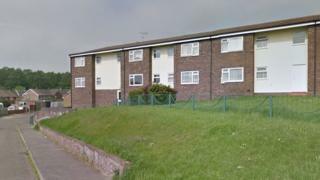 A man has died in a bungalow fire at a sheltered housing complex in Kent. The fire started at about 16:00 GMT on Sunday at Sovereign Court in Orchid Close, Strood. Kent Fire & Rescue (KFRS) said it worked swiftly to clear smoke and fumes from the property. The man was found by the rescue team. KFRS investigators and Kent Police have begun an investigation. MHS Homes manages the complex and said it was working closely with investigators. Operations director Stephanie Goad said in a statement: "Our deepest thoughts are with the resident's family at this difficult time. "We've spoken to his next of kin and the other residents at Sovereign Court to offer support and reassurance." Nobody else was injured in the fire.